Doctors and pharmacists in Victoria will soon be legally required to check SafeScript when writing or dispensing a prescription for a high-risk medicine. 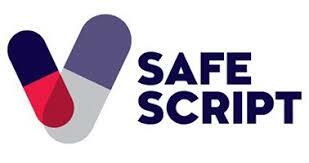 Victoria Harbour Medical Centre is now participating in SafeScript. SafeScript is computer software that provides doctors and pharmacists involved in your care with a comprehensive history of the high-risk medicines you have been prescribed. This will help them make safer decisions and provide better care. They’ll be able to identify where you may be receiving medicines in potentially harmful quantities or combinations. Which medicines will be included in SafeScript? Will the system prevent me from receiving my regular medicines? It is important not to discontinue your medicines abruptly without talking to your doctor or pharmacist. SafeScript does not tell your doctor or pharmacist what to do. SafeScript provides additional information about your medication history to assist them with making sure the medicines you are prescribed remain safe for you. If you have been receiving the same medicines, or unsafe combinations, from more than one doctor without each doctor knowing, you could be at risk of harm. Your doctor may consider changes for your safety which might include better coordination of care, safely adjusting your medicine doses or managing your condition in other ways. SafeScript has been designed to meet Victorian and national security standards to protect patient information. Data is encrypted at all times to keep your information protected and secure. Where can I find out more information about SafeScript?